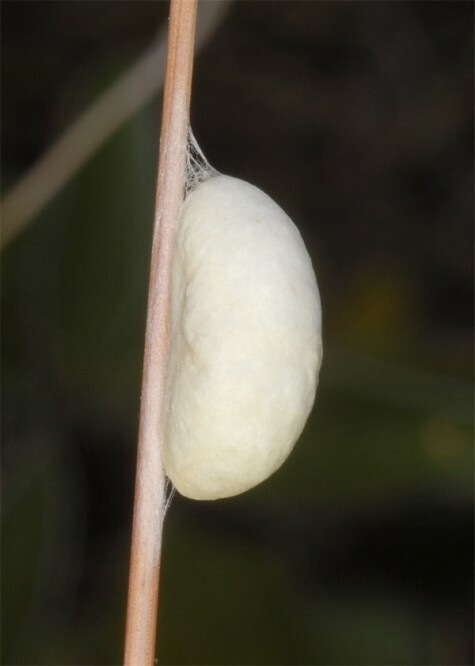 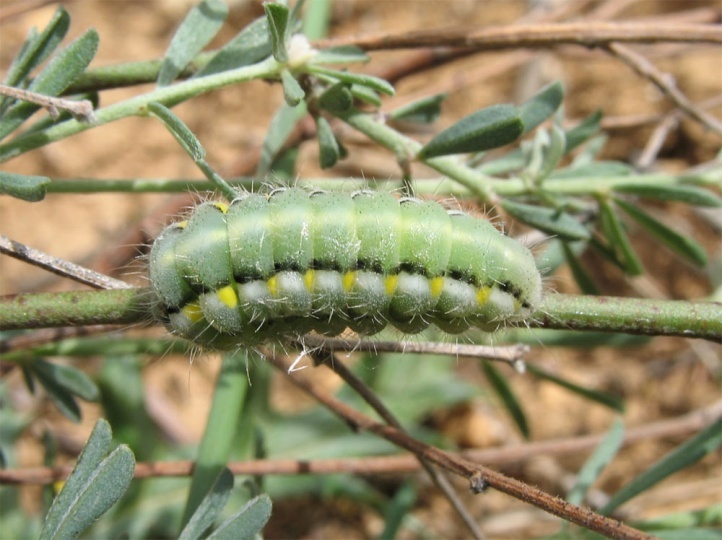 The caterpillar lives on Dorycnium pentaphyllum, according to literature also on Lotus. 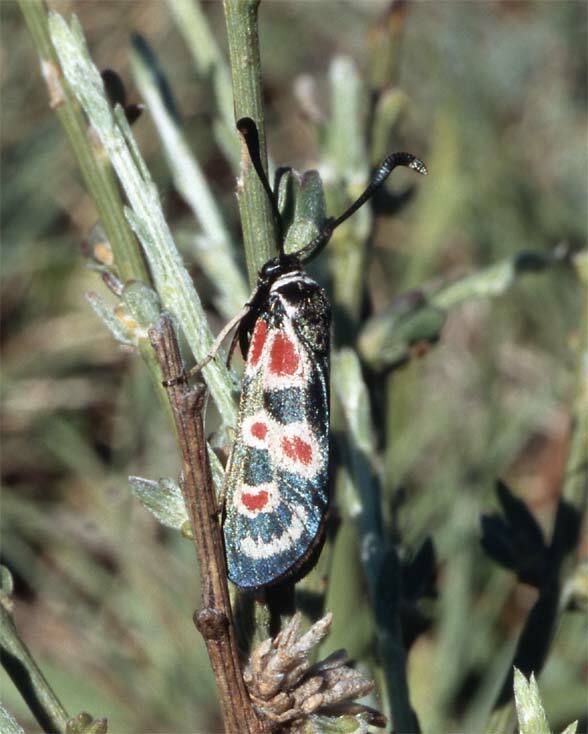 Zygaena occitanica inhabits the maquis, garrigues, scrub, dry grasslands, mountain slopes, dry river gorges, very sparse forests and bushland with the most important host plant Dorycnium. 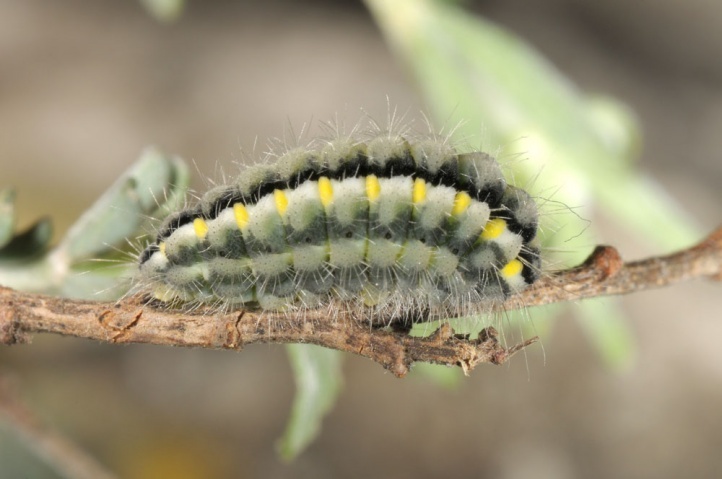 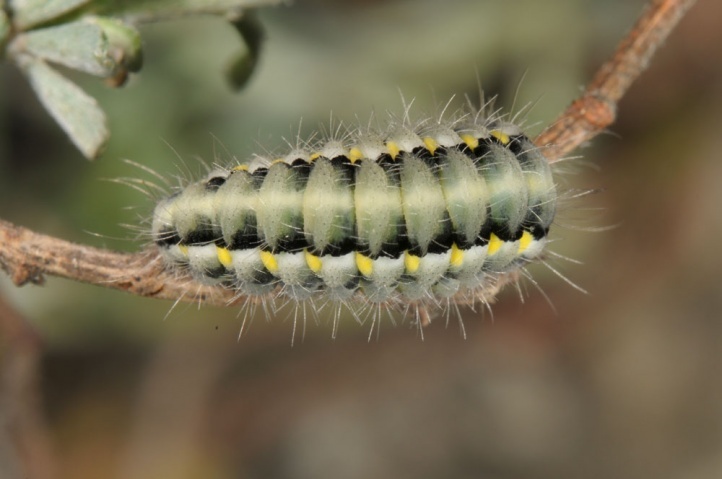 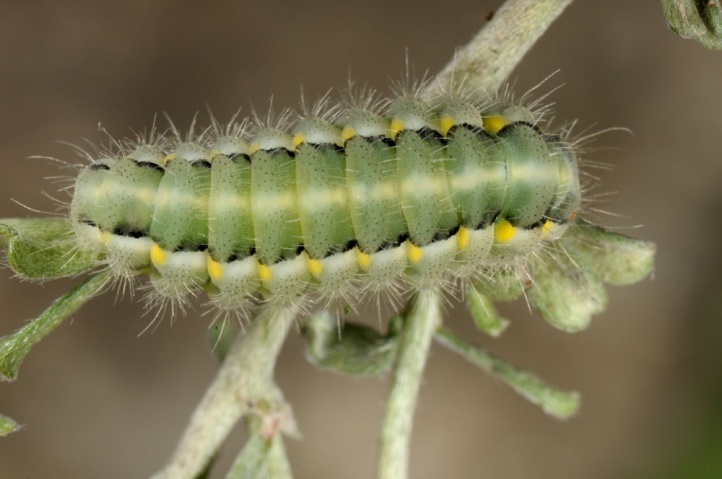 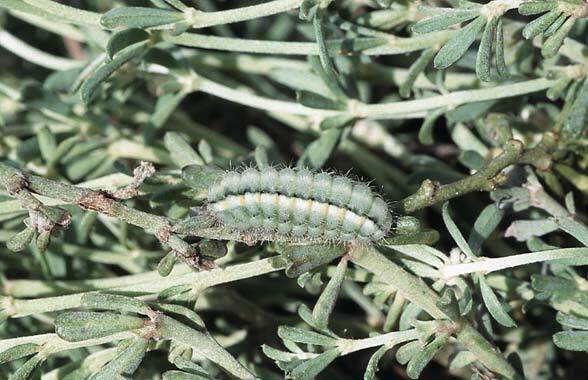 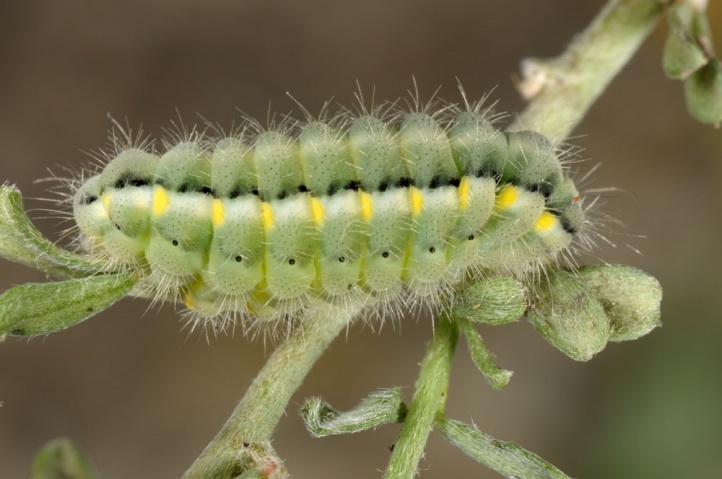 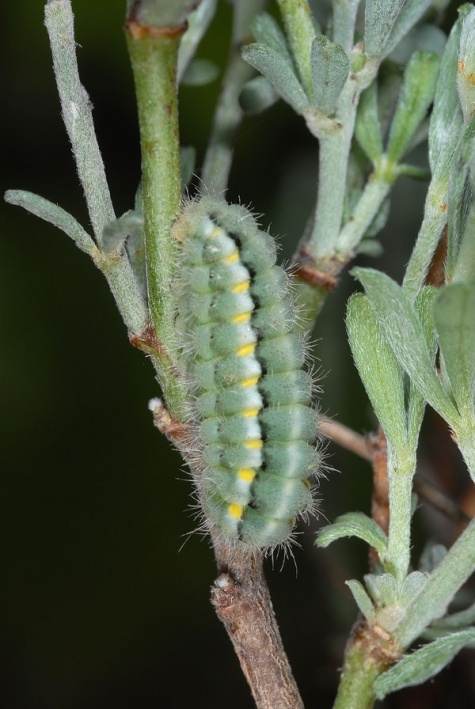 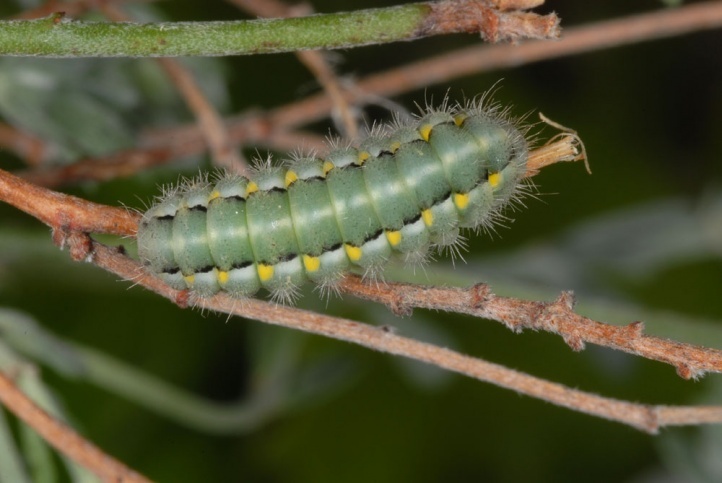 The larvae are easy to shake off the Dorycnium bushes. 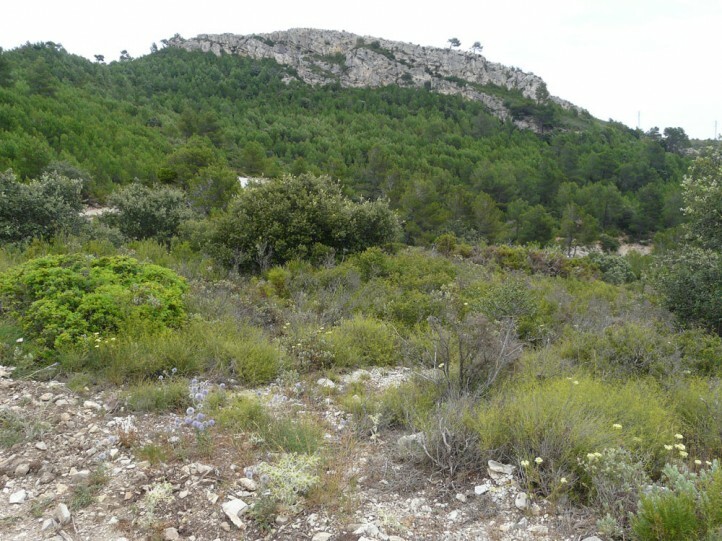 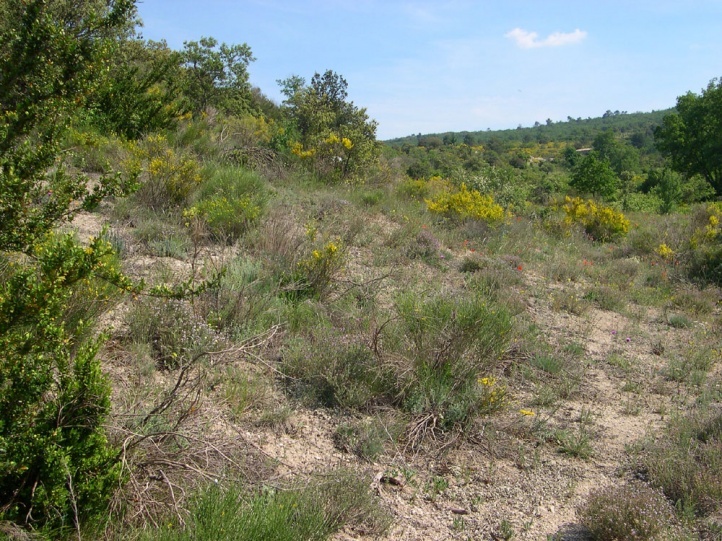 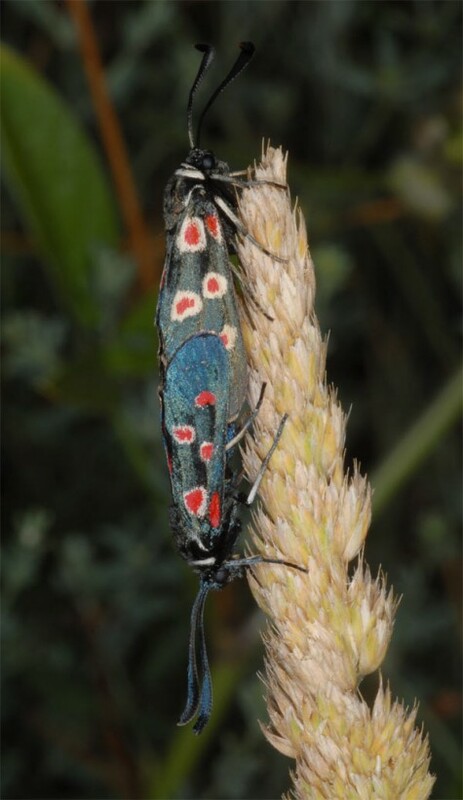 I found them this way in Provence in late April and May. 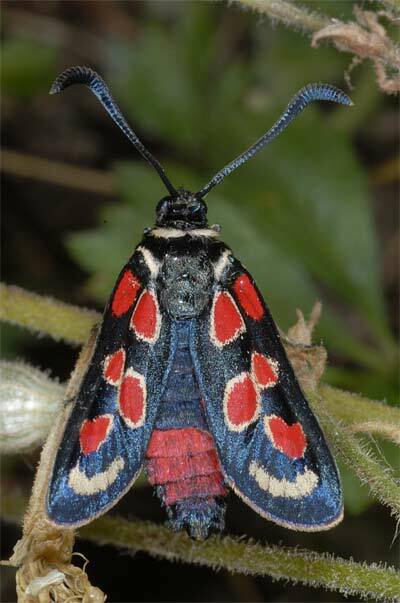 The moths fly in July/August. 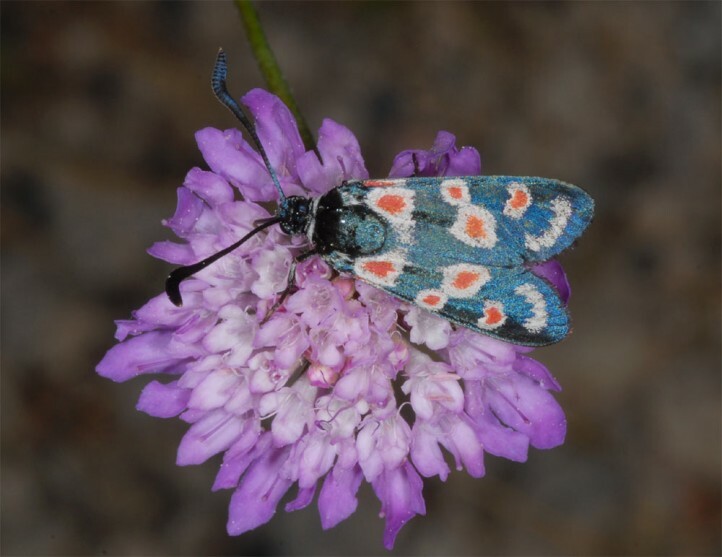 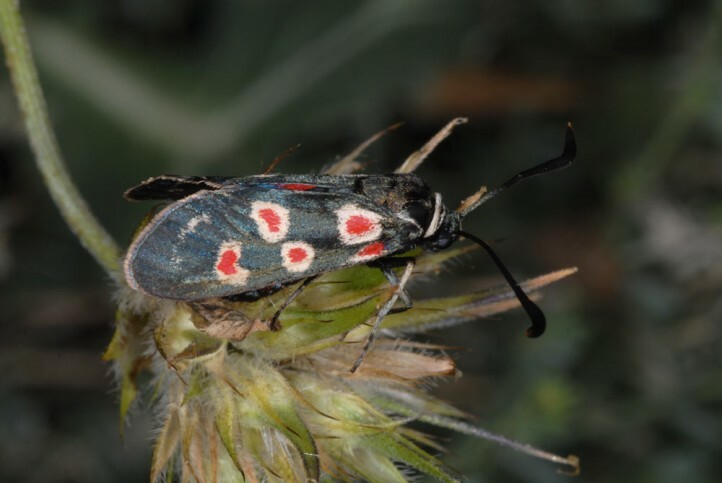 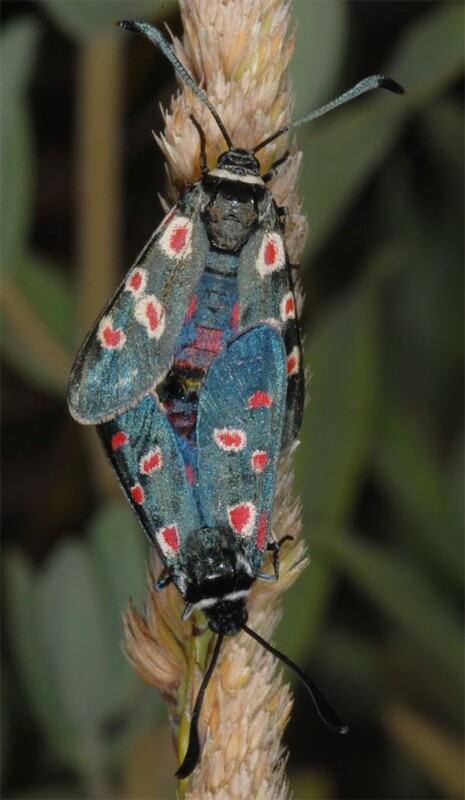 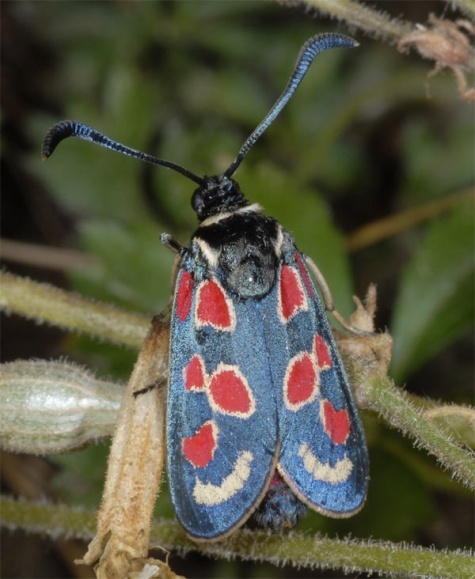 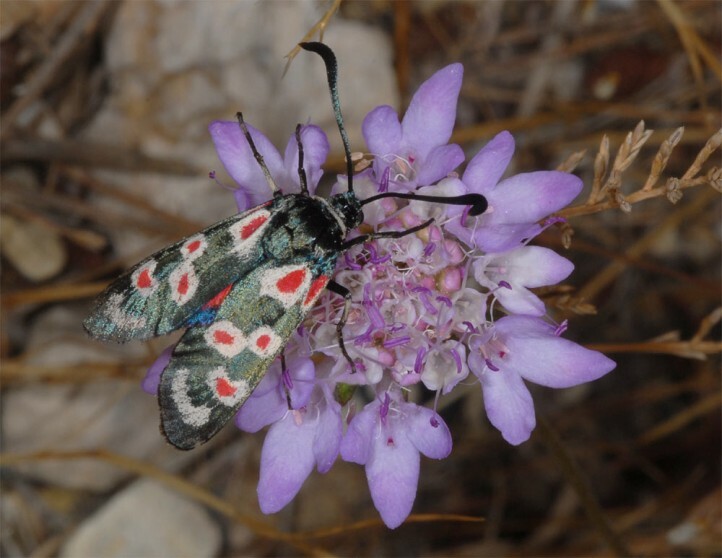 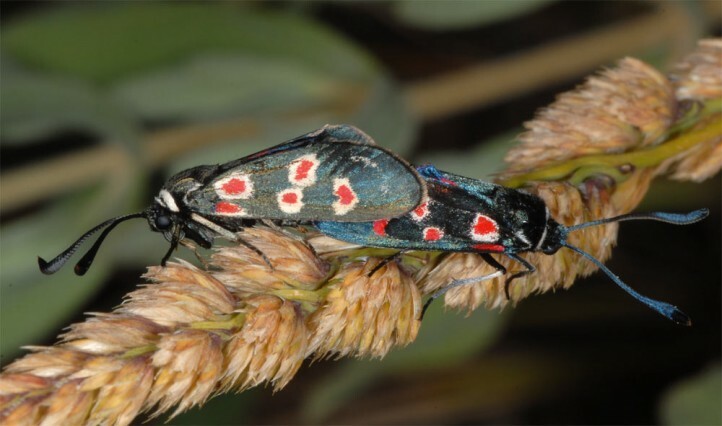 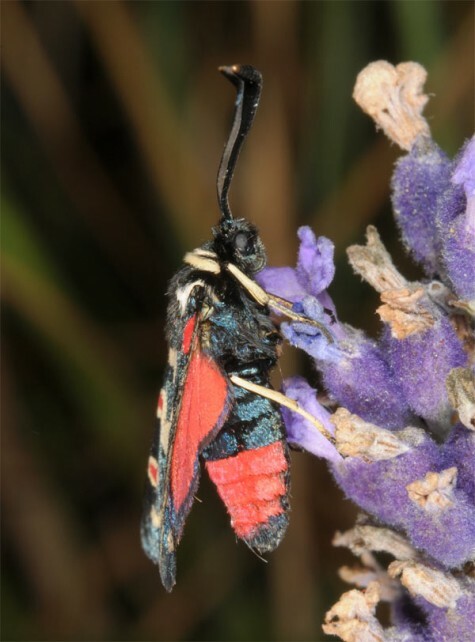 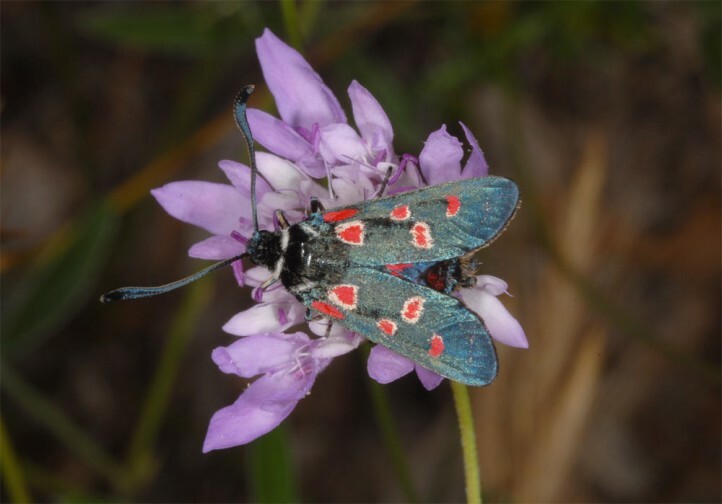 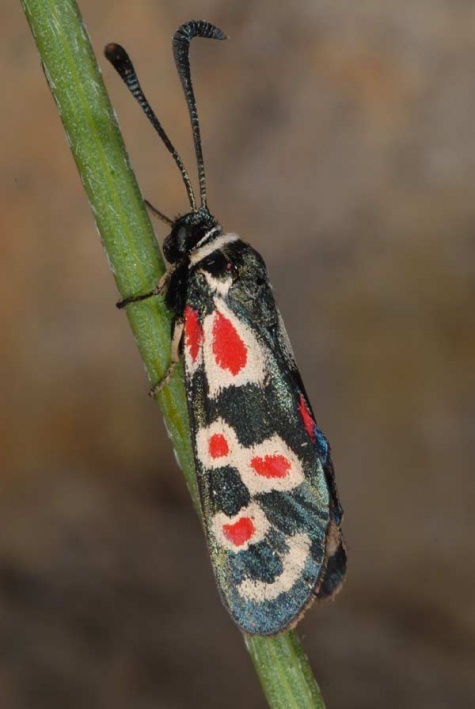 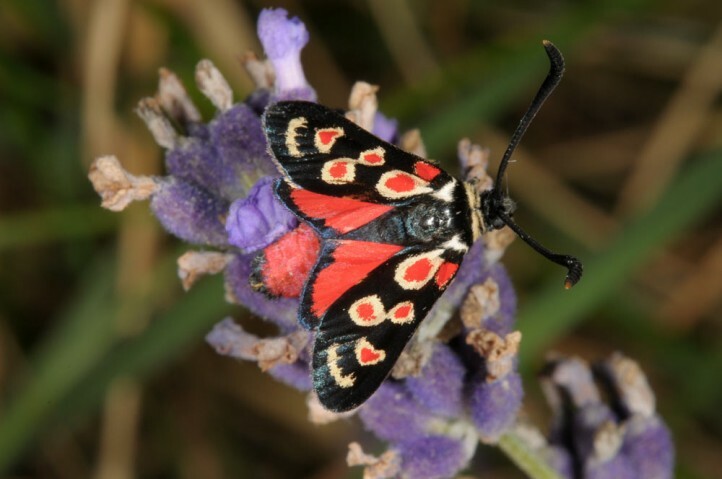 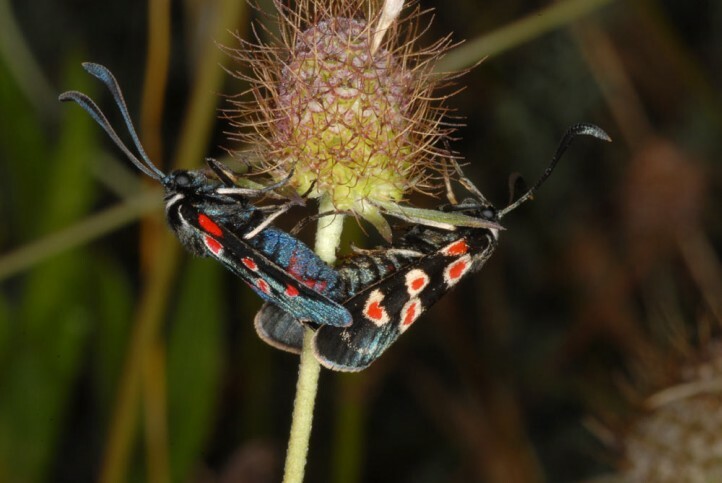 Zygaena occitanica occurs in Atlanto-Mediterranean dissemination from Andalusia across the Iberian Peninsula and Southern France to Liguria.